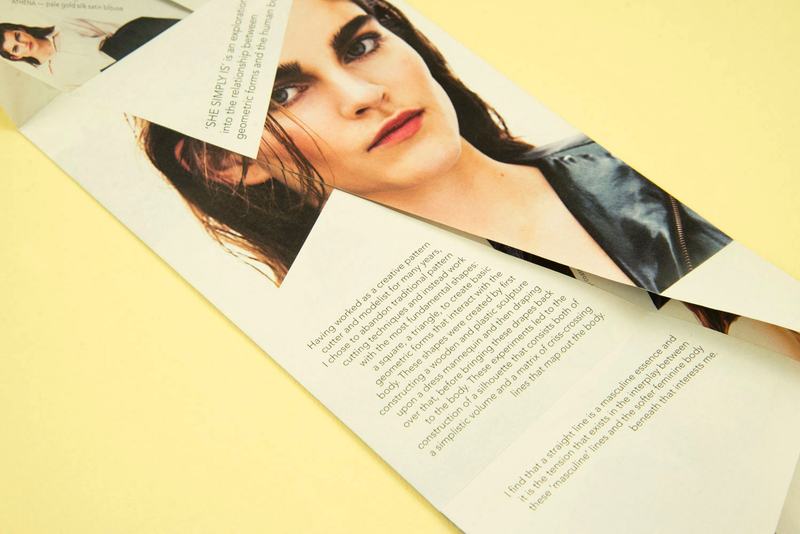 ‘She simply is’ is the title of the autumn-winter 2015 collection of fashion designer Simeon Morris. 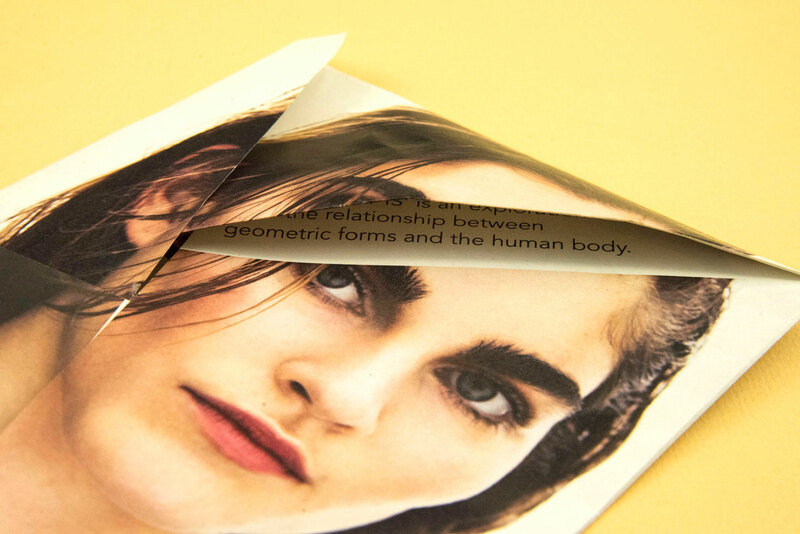 The collection forms an exploration into the relationship between geometric forms and the human body. For Simeon I designed a folded lookbook. 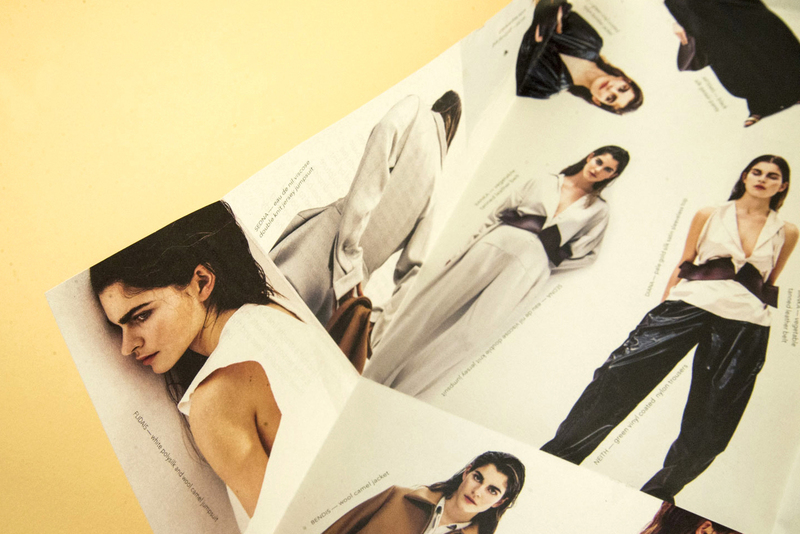 The lookbook is based on the same design principles as the clothes are made. 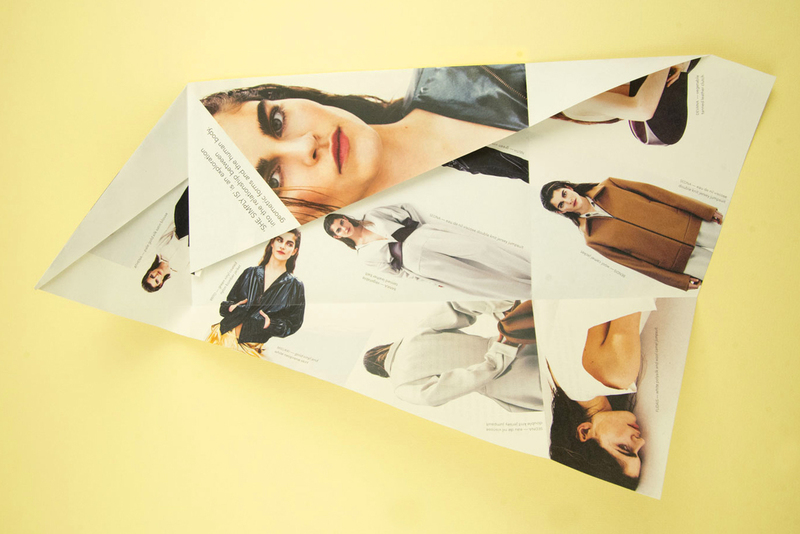 With geometrical forms, the book is folded and contains all the looks on one piece of paper. Every look has a girls name in the collection. She simply is… means that a women can have different roles in her life. 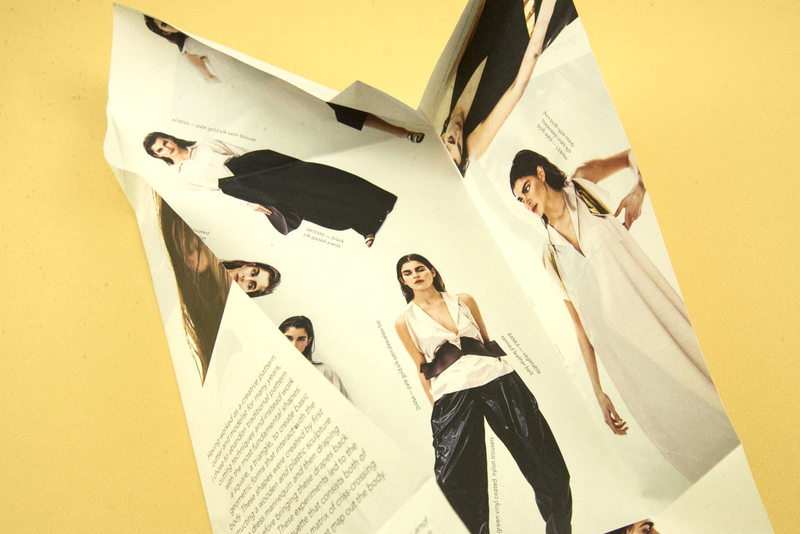 Next to the design of the folded lookbook, I assisted as art director during the photoshoot with Emil Pabon. In the collection, some pieces had golden fabric. 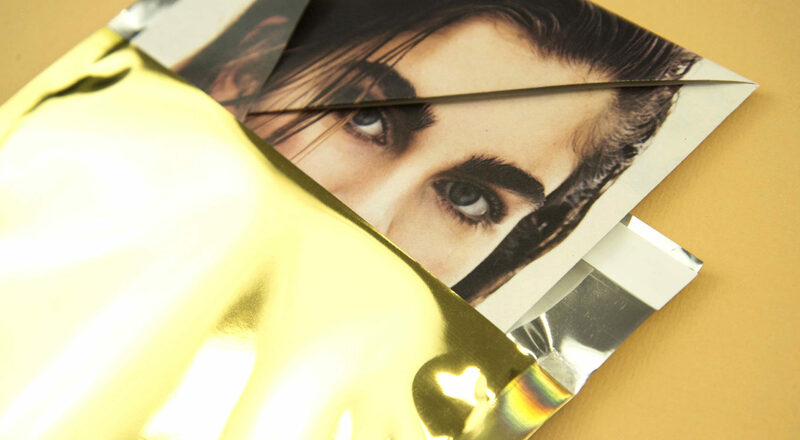 The lookbook was send in shiny golden envelopes.